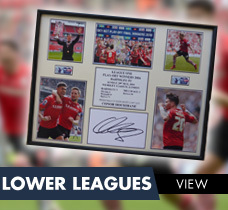 Footy Autographs supply genuine high quality autographed items of football memorabilia. 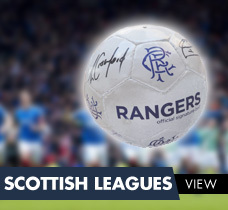 Although we specialise in Premier League teams and England memorabilia, we also supply autographs from the lower leagues in England, Scottish teams and top teams around Europe. We will be including a new range of items from the Women’s Super League this season. 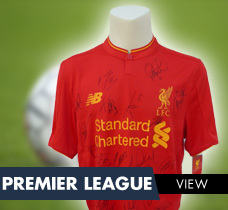 Footy Autographs is now well-established around the world and regarded as one of the top memorabilia companies in the UK. 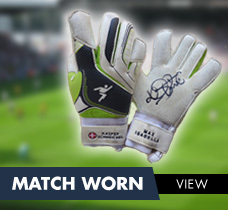 We have been selling top quality hand signed and match worn football memorabilia from our website for many years. We currently have over 5000 items available for immediate purchase with new items added every single day. We have many repeat customers from around the world who buy from Footy Autographs because they know they are buying genuine memorabilia. We are very proud of our excellent customer service and aim to dispatch all items within 24 hours whenever possible. If you cannot find a particular item or have a query about any of our items then please contact us. We aim to reply to all queries as quickly as possible.